Being born a girl means you are more likely to be subjected to violence, disease, poverty, and disadvantage than any other group on Earth. 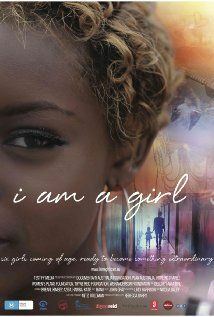 In I Am a Girl, we meet 14-year-old Kimsey from Cambodia, forced to sell her virginity at 12; Aziza from Afghanistan, who will be shot if she goes to school; Breani, a teen living in a ghetto of NYC and dreaming of stardom; Katie from Australia, who is recovering from a suicide attempt; Habiba from Cameroon, betrothed to a man 20 years her senior; and Manu from Papua New Guinea, about to become a mother at 14 following her first sexual encounter. As they come of age in the way their culture dictates, we see remarkable heart-warming stories of resilience, bravery, and humor.